A salesforce user since 2004. Worked as a sales representative for 8+ years. 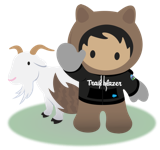 I made the journey to Sales Operation and eventually to a Business Analyst, Salesforce Administrator/Developer and Project Manager.####I love what I do and am thankful for the opportunities Salesforce.com has brought into my life. Rick Haag hasn't posted any ideas yet.